The quality of a kitchen and the bathroom can help sell a house. Prospective buyers with acute attention to detail will be inspecting the quality of the sink, the toilet, the shower, the bath and everything else. 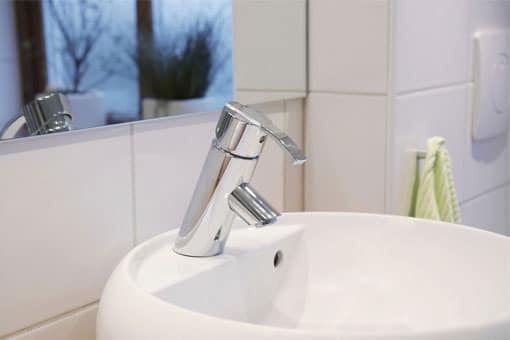 Obviously, ceramic sanitary ware that is in excellent condition is easier to maintain and should influence the decision making of the person thinking about purchasing a new home. So what can you do to prevent limescale and other hard water deposits from ruining the value of your property? Have you considered surface protection? Nanokote produces specialty hydrophobic and oleophobic thin film coatings. When applied at the manufacturing point in a shuttle kiln, sanitary ware manufacturers can value add to their products to produce easy-to-clean hand basins, toilets and baths. Our industrial quality coatings are permanent due to exceptional abrasion and chemical resistance and have a design life of 10 years. After the expiry of the design life the end consumer can easily re-coat with DIY versions such as the Nanokote Glass & Ceramic DIY kit. Want a DIY kit? Nanokote Glass & Ceramic DIY kits are available for purchase online through REECE here. Alternatively contact REECE on +613 9274 0000. Protect your investments for over a decade with Nanokote ceramic coatings. Contact us for more information.